Doña sauce was the biggest reason why I needed to get my breakfast tacos from Taco Deli. 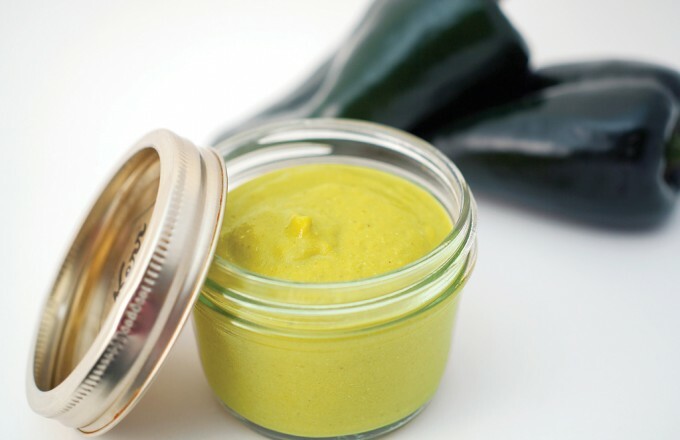 For years I’ve wondered how to make this spicy sauce, but since I couldn’t figure it out, I would snag an extra serving to take home every now and then. Thanks to some tips from my old pal Jay, I can now make my breakfast tacos at home. NOTE: The amount and type of peppers are completely up to you! I add poblanos for a richer flavor and serranos for a little more kick. 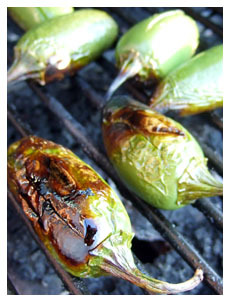 Grill or broil the peppers until they are slightly charred on all sides, turning them as needed. Be careful not to roast them too long though or you will lose the flesh of the pepper. Seal the peppers in a plastic ziplock bag until they are cool to the touch. Steaming the peppers will faciliate the peeling process. Once they have cooled, remove the blackened skin from the peppers and toss the flesh into the blender with the garlic. You decide if you want to deseed your peppers or not. Turn on the blender, slowly adding canola oil until desired thickness is achieved. Salt to taste.